IFAC recognizes the importance of understanding country context and tailoring PAO capacity building efforts to address the unique needs of each national environment. A consistent approach, however, is also key. IFAC has identified the nine components that cover the full spectrum of a PAO’s responsibilities and, when properly addressed, contribute to a successful PAO that serves both the public and private sectors. Relevance: connectivity between a PAO and its membership base and broader society in order to understand and respond to the needs of both groups across the private and public sectors. IFAC uses a diagnostic validation and confirmation process, including on-the-ground stakeholder engagement, to identify a PAO’s position in relation to these components and provides clarity regarding the wider environment the PAO operates in. 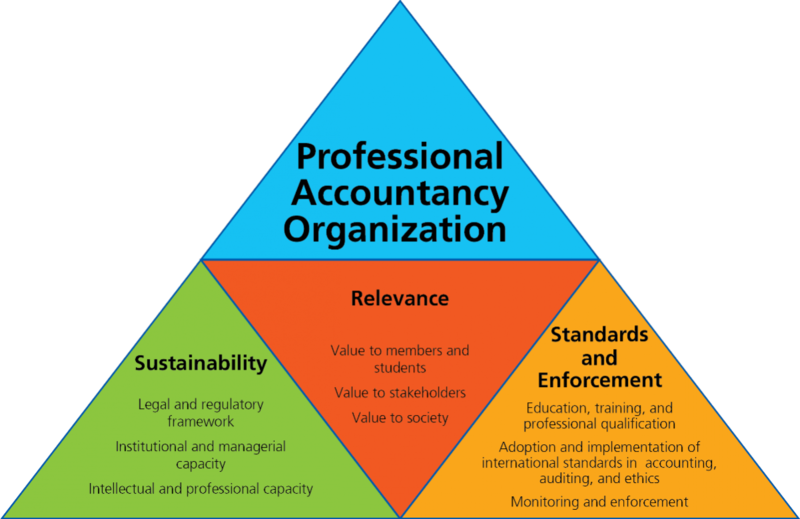 Together, these aspects provide an indication of the specific circumstances in the country and the level of accountancy profession and PAO development, enabling the design of projects that are fit for purpose.